If there's one set of make up brushes that have been raved about on blogs more than any other it would be the Zoeva Rose Golden Brush Set and for a very good reason too. If you follow me on any social media you will be no stranger to the love I have for anything rose gold and copper, this being no exception. I first reviewed the Zoeva 102 brush back in February and I have been lusting after the Rose Golden Set ever since. At first the price made my eyes water a little bit, even though not the most expensive, I did think "Are they worth it?". Once you split the price into eight, you will begin to realise what a great deal they are, £7.12 per brush - It doesn't seem too bad now does it? The matte black handles with rose gold hardware not only looks appealing to the eye, but the brown clutch bag makes for easy travelling too. As they are made up of natural and synthetic taklon bristles, they can be used with cream, liquid and powder products, whilst still being able to be cleaned easily. If you're looking to purchase a make up brush set that includes all the staple brushes, then I would 100% recommend this set. Not only will you be applying and blending before you know it, you'll also be quickly pining for more. 317 Wing Liner Brush | Even though I'm more of a liquid liner kind of girl, I was determined to find a use for this brush. As someone who hasn't quite mastered using powder for my eyebrows, I found that due to the dense, short bristles on this brush I was able to precisely line my eyebrows without packing on too much product at the same time. 231 Luxe Petit Crease Brush | When I first opened this brush up my first thoughts were "How do I use this?! ", but after a lot of Googling and experimenting I found the use and fell in love. The tapered brush helps to accentuate the socket and define the crease, whilst being able to blend out the product. Even though I wouldn't have initially picked this one up, this has quickly become a staple in my collection. 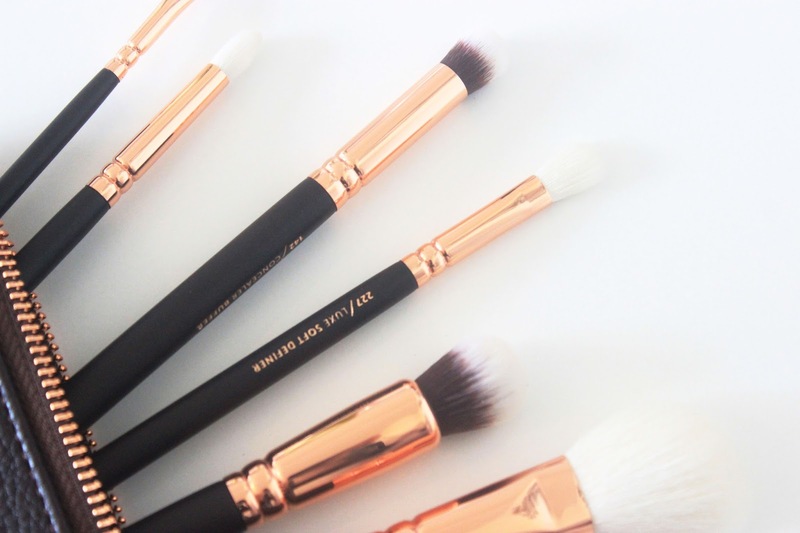 227 Luxe Soft Definer Brush | Now, where do I start with this one? The famous 217 dupe has had a lot of coverage recently for it's blending qualities and much cheaper alternative to the MAC brush that everyone raves about. For someone who likes a "do it all" eyeshadow brush on the days I don't have time to blend and apply for hours on end, this brush is a staple and one that blends out colour effortlessly. 142 Concealer Buffer Brush | It's true, once you own this brush you'll never want to apply concealer with your fingers again. This robust, densely packed concealer brush blends concealer seamlessly whilst helping to pack on product for a high coverage finish. If you're into a multitasking brush, then not only is it great for concealer, it also can be used with cream eyeshadows to contour the crease with ease. 127 Luxe Sheer Cheek Brush | I'm not usually a fan of white brushes because they don't exactly stay white forever, but I can't help but love this brush. It picks up just the right amount of product and blends anything from highlighter to bronzer effortlessly into the skin making for perfectly chiselled cheekbones. 110 Face Shape Brush | After reading endless reviews on this brush I had high hopes for it's contour abilities, but as someone who doesn't necessarily get on with cream products, I quickly found a much more effective way of using this brush - To blend concealer. I particularly like using this under the eye and to blend any harsh foundation lines. 102 Silk Finish Brush | A brush that I reviewed back in February and one that I have used ever since. There's nothing quite like it and if you're a fan of the Real Techniques Buffer Brush then I'm sure you'll be smitten with this in no time. It applies and blends foundation quickly leaving your skin looking flawless and natural every time. Even though I already own two of these, there's always room for a third one. 106 Powder Brush | If there's one sort of brush that never really gets me hot under the collar, it's powder brushes. I've been using my The Vintage Cosmetic Company Powder Brush* religiously, but I wanted a brush to alternate it with - Cue the 106 Powder Brush. A super soft powder brush that applies loose powder effectively, leaving the skin looking airbrushed and setting your make up effortlessly. 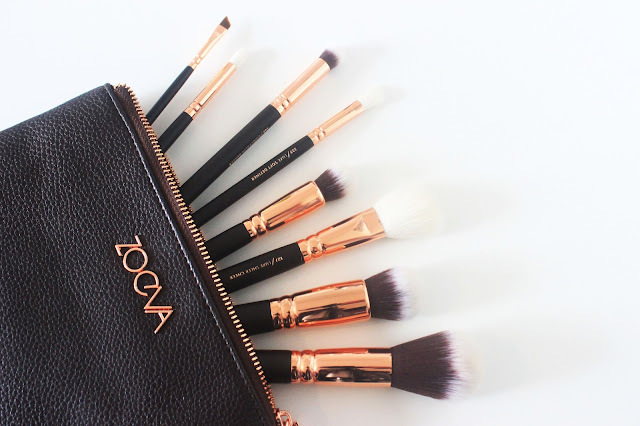 Have you tried the Zoeva Rose Golden Brush Set? What are your favourites? I love the Zoeva brushes and so pleased I made the purchase. My favourite is the concealer brush - you're so right, I never want to put concealer on again with my finger!! 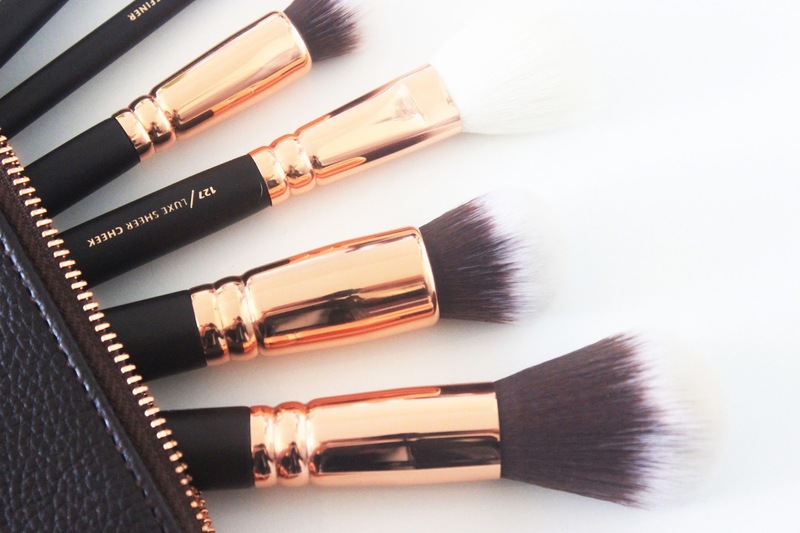 These brushes are so pretty, I definitely want to try the set.